Hyderabad: More than 200 persons from the queer community from across the country came together at Jxtapose, Jubilee Hills on Sunday to celebrate the strength and solidarity of the lesbian, gay, bisexual, transgender and queer (LGBTQ) community. The event was the third to be held in a series of annual festivals called the Queer and Allies Arts Festival (QAAF), organised by Mist, a Pune-based pan-India community organisation of the queer. Screenings of recent movies that show the struggles and joys of LGBTQ persons in India were screened for more than half the day at the venue, with the 2017 Tamil feature film ‘My Son is Gay’ making its Hyderabad premier. Other films that were screened include Khwaaish, Thedal, The Queen, Aanvesham, We Did Not Fall from the Sky, Red Wali Dress, Tritiya, Any Other Day, and The Boy. 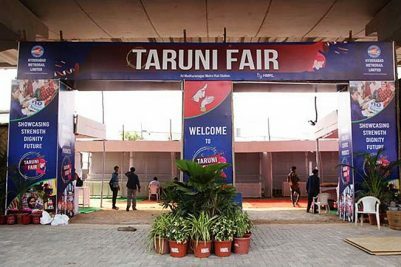 “It is very important to hold a film screening of community movies at our events, because they often do not get any theatre space,” Mist coordinator for Hyderabad K Sandipan (Sandi) told Telangana Today. In the evening hours, drag queens Rimi Heart and Lady Bai from Bengaluru and Ashish Kumar from Pune took to the stage to loud cheers and all-round applause. Drag queens are men who dress up in exaggerated feminine costumes and perform in feminine roles for entertainment, often using satire. Drag performances are a core part of the LGBTQ culture, and this was the first drag show in Hyderabad. In total, more than 30 artistes performed on stage, of which about 20 were from the city. There was dance, drama and beatboxing too, apart from painting and photography exhibitions. A two-month-old mobile app developed by Hyderabad and New-Delhi based LGBTQ persons, called ‘The Delta App – LGBT Community & Networking’, has been making waves in the community. Within days of its launch, it was downloaded by more than a thousand people. 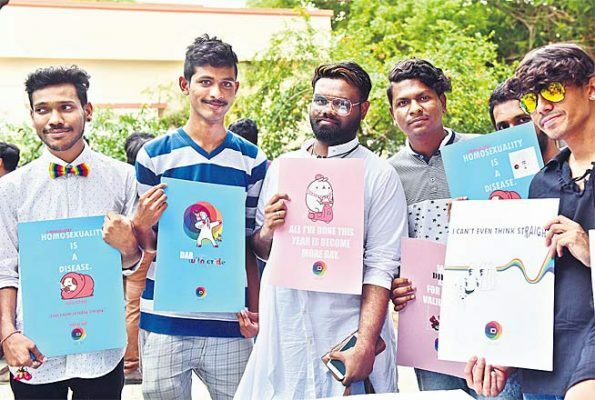 “The app provides two main services – connecting of like-minded people based on its data algorithms, and identification of LGBTQ-friendly spaces,” said Karthik Teja P, a Hyderabadi LGBTQ activist who is one of the founders and brand ambassadors of the app. The app goes beyond typical dating services that it connects people from the community with each other based on their idea of identity, whether or not they wish to pursue a relationship with the persons they connect with. On the other hand, the app will help LGBTQ members find friendly and tolerant rental spaces, workplaces, public places such as coffee shops or cultural hotspots, and so on. 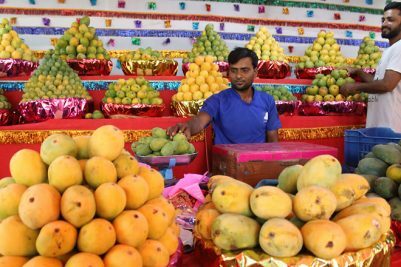 City-based healthcare volunteers from the NGO ‘India HIV/AIDS Alliance’ have been running a project called ‘Samarth’ at public spaces such as the Secunderabad Railway Station for more than a year now. In this period, they have counselled and tested more than 1,500 persons from the LGBTQ community, manager of the NGO Balakrishna said. “We work in collaboration with the National AIDS Control Council (NACC) and provide free HIV/AIDS tests, support counselling, and latex condoms to persons from the LGBTQ community. The idea is to encourage them to take the test, use precaution and understand the importance of treatment of HIV/AIDS,” said Balakrishna. The NGO also provides linking support to LGBTQ persons who test positive, by counselling them and assisting them in enrolling at government hospitals for treatment.